Ahead of “Game of Thrones” Season 8 debuting on HBO next month, Entertainment Weekly rounded up author George R.R. Martin, showrunners David Benioff and D.B. Weiss, director David Nutter, and cast members Richard Madden (Rob Stark), Michelle Fairley (Catelyn Stark), and Oona Chaplin (Talisa) for an oral history of The Red Wedding. 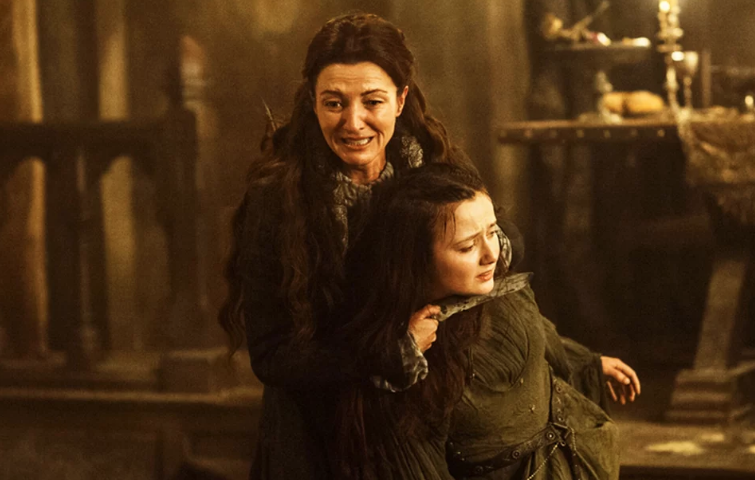 The event was featured in “The Rains of Castamere,” the penultimate episode of the show’s third season, and is widely considered one of the most shocking moments in TV history for the way it brutally kills off the aforementioned main characters. Nutter and the “Thrones” showrunners decided to film the sequence in chronological order as to help build the actor’s emotional arcs leading up to their deaths. The Red Wedding was shot over a full week of production in Belfast. Nutter stressed shooting in sequence so that the actors could properly “build up the emotional journey of the sequence.” Fairley was especially grateful production decided to shoot chronologically.